PrizmDoc Viewer's document and image conversion api supports the ability to convert more than 50 different file formats to PDF, TIFF, PNG, JPEG, or SVG. Support for converting the most popular file types from Microsoft Office such as Word, Excel, Powerpoint. 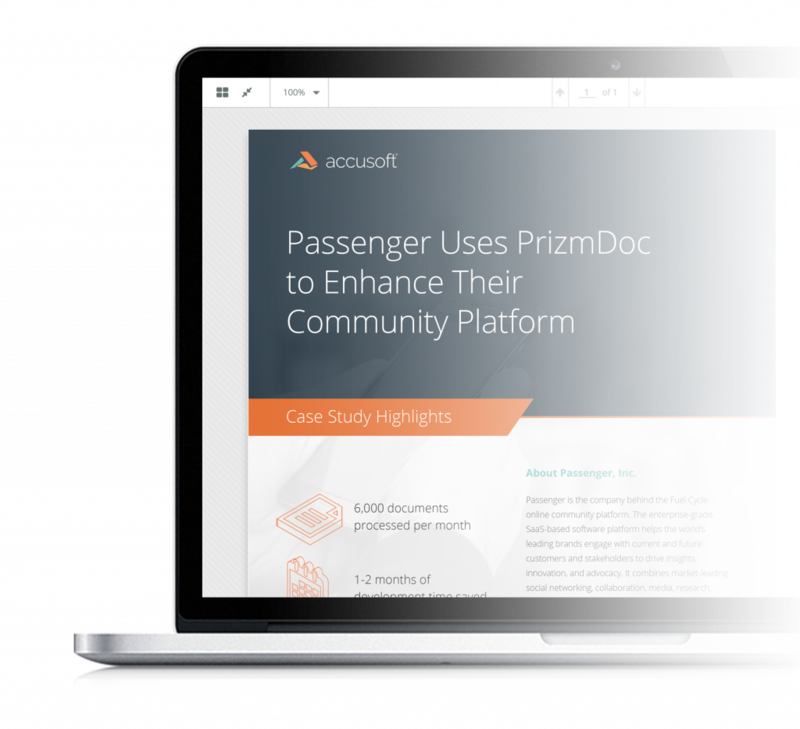 For companies that require native rendering of Microsoft Office files, PrizmDoc Viewer’s MSO Conversion feature provides true native viewing of Word, Excel, and PowerPoint documents. MSO Conversion is included with PrizmDoc Cloud or can be purchased as an add-on option for PrizmDoc Viewer Self-Hosted. In addition, PrizmDoc Viewer’s api conversion service supports converting image files.